Ozona Consulting’s training on ITSM KPI models has become the most highly- rated, and sought-after, training of the company’s portfolio, having delivered more than 40 workshops in 6 countries in the last 5 years. Develop appropriate KPI models for different levels of the organization (operational, tactical, and strategical). Achieve higher control of IT services provided to the internal and/or external clients. Theoretical exposure is complemented with numerous practical exercises. Throughout the training, real examples of ITSM dashboards and reports are shown. Although the presented examples are for IT service management, the theory for the KPI models is applicable to other fields. Applying the presented techniques does not require any specific tools. The training is organized into several levels. From basic training to interpret KPI models to the techniques for building and optimizing dashboards, scorecards and reports. This training does not require any previous knowledge, although it is recommended to have ITIL or ISO 20000 foundation training. CIOs, CTOs, IT managers and other management personnel who require consolidated metrics and KPIs for IT services to support decision making. Service managers, process managers, ServiceDesk managers, etc. who have to provide information regarding IT services to the top management and customers. No prior ITSM knowledge is required, although it is advisable to have ITIL or ISO 20000 foundation training. The training might be helpful for other personnel within the organization. Just note that the implementation examples will correspond to ITSM case studies. 3 days. Only in-house editions. Presentation of the basic concepts regarding metrics and indicators as well as practical examples of implementation, both on a general level and those specific to IT service management. Techniques for calculation of indicators. Interpretation of dashboards and reports. Application to ITSM case studies. Objectives vs. indicators. KPI model building with several levels and multiple dimensions. Practical implementation of reporting and dashboards. Presentation of KPI models with multidimensional indicators. Identification of objectives and CSFs. Calculation of tactical and strategical indicators. Full methodology for identifying objectives and constructing multilevel KPI models specific to an organization. 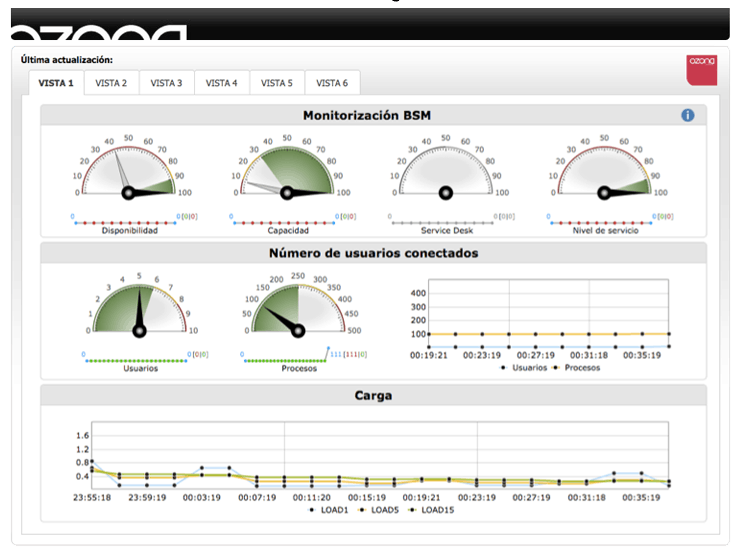 Implementation of reports and dashboards. Integration with data sources. Defining and implementing multidimensional ITSM models. Designing and implementing dashboards and reports. Visualization techniques for KPIs in dashboards and reports. Difference between measurements, metrics, and indicators. Difference between KRIs, RIs, PIs, and KPIs. Introduction to defining objectives and critical success factors. Connection between these and the KPIs. Main ITIL/ISO 20000 concepts (business process, ITSM process, IT service, professional service, and function). Production of maps for services. IT services management systems and processes. Explanation of why should we use ISO 20000 as a guideline for constructing an ITSM model. 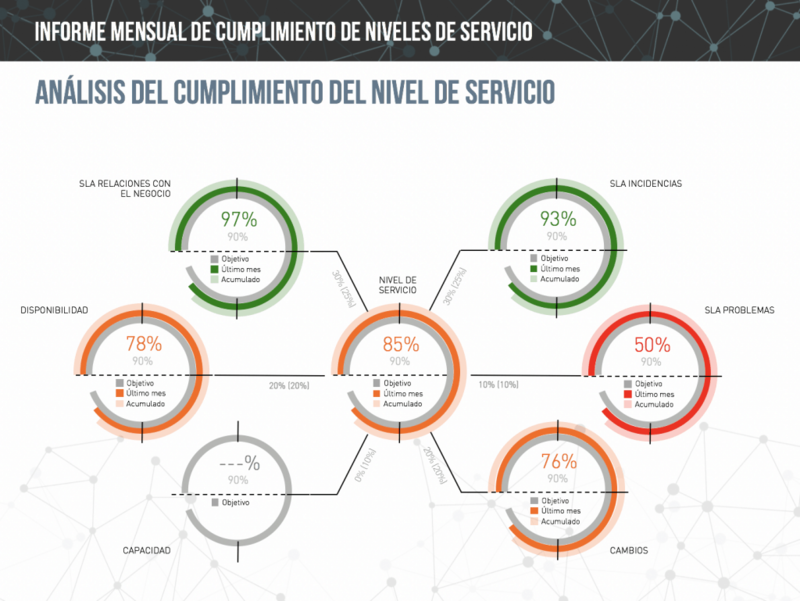 Explanation of the indicators proposed as a model to manage IT services. Example of a KPI model for interpreting and analyzing service desk dashboard and reports. Analysis of real service desk reports and dashboards. Example of a KPI model for interpreting and analyzing service provision dashboard and reports. 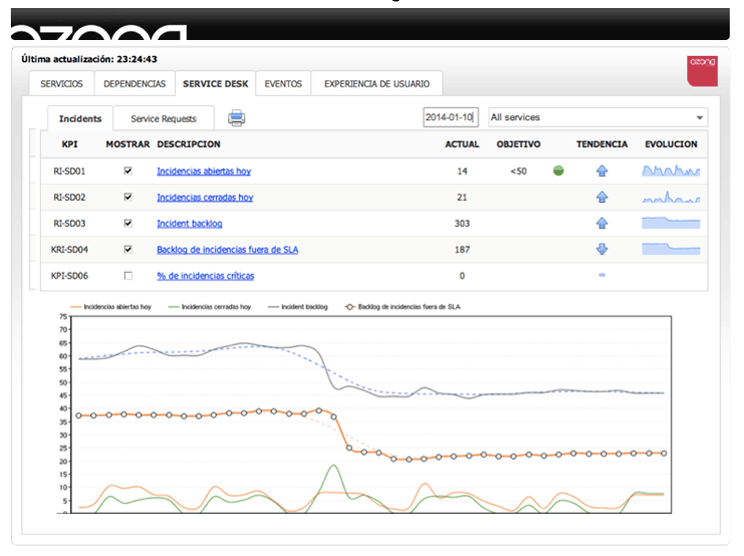 Analysis of real service provision dashboard and reports.